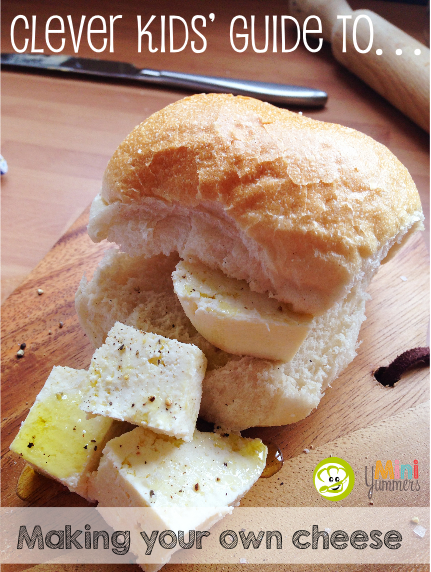 When you start munching on your cheese sandwich at lunchtime, have you ever thought about how cheese is made? 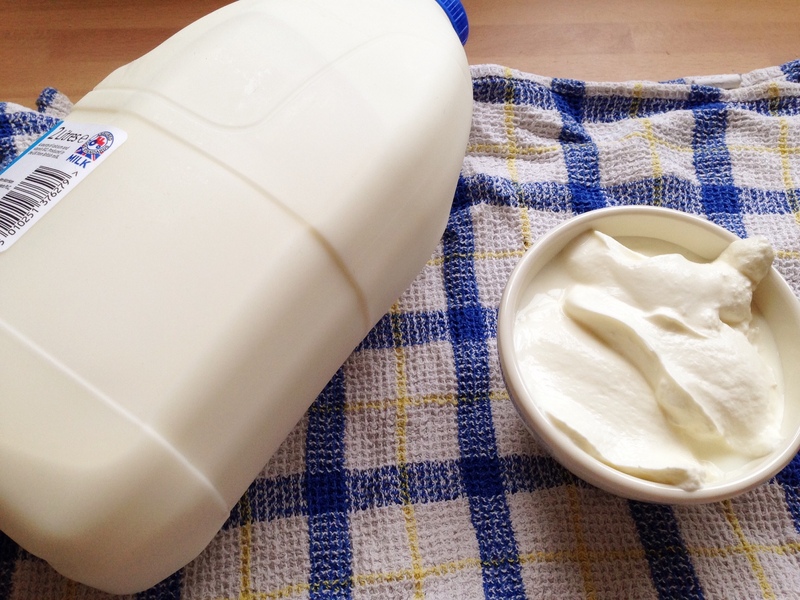 How does milk go from being a liquid to a solid cheese? Let’s find out, and even try making our own cheese. It’s easy! Cheese is made by adding a bacteria or something acidic to milk. The bacteria or acid causes the protein in milk–called casein–to huddle together in tiny clumps. 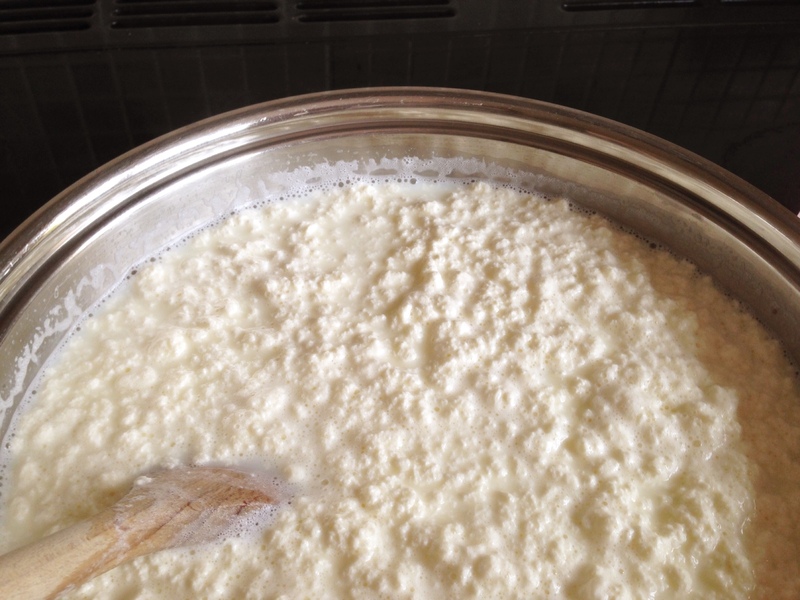 These tiny clumps are called the curd, and the liquid that is left behind is called the whey. 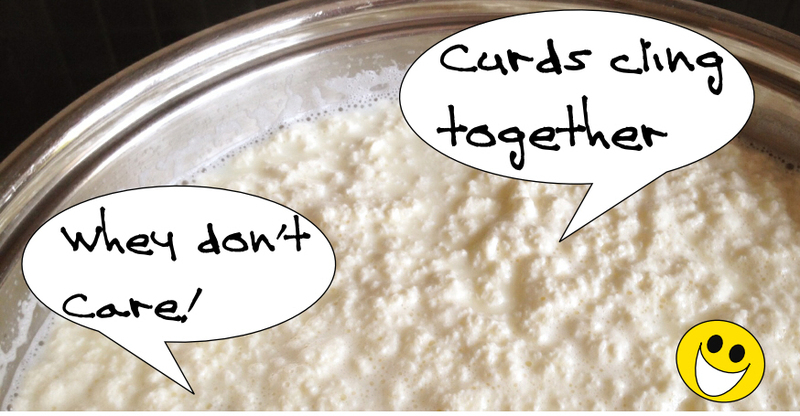 In most cheeses you buy, the huddling together of the curd is completed by using something called rennet. 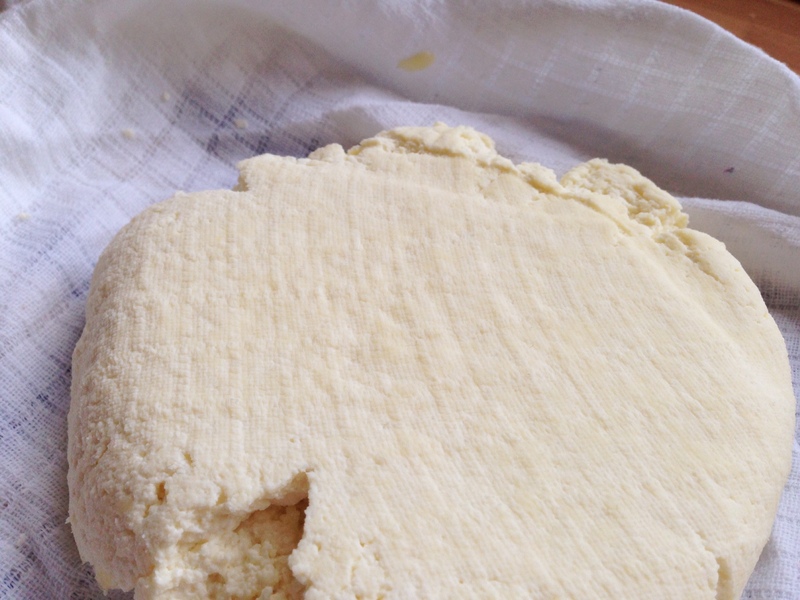 Rennet comes from animals usually, but rennet alternatives are used a lot so cheese can be eaten by vegetarians. The curd and whey are now separated. 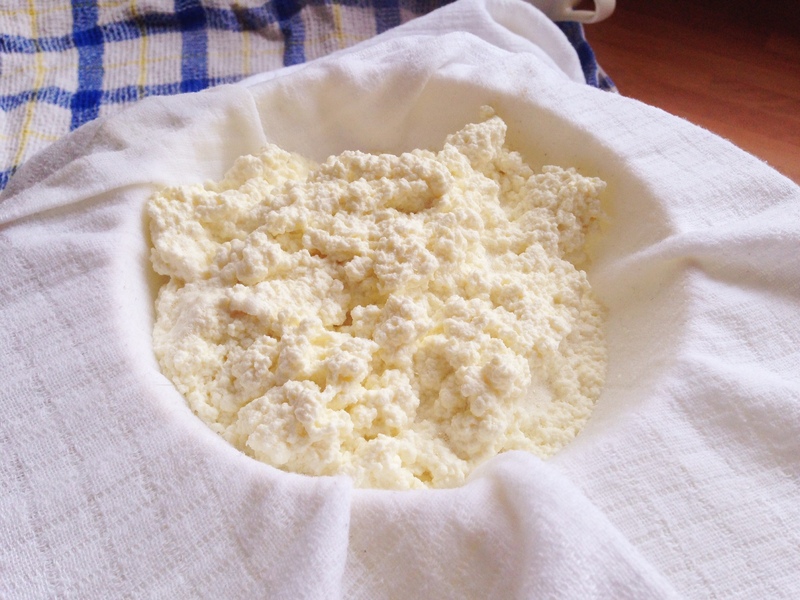 The curd is pressed into shape and becomes cheese. We are going to use lemon juice as our acid in this recipe, are there any other acids in the kitchen we could use instead? (Find the answer at the bottom). 1. 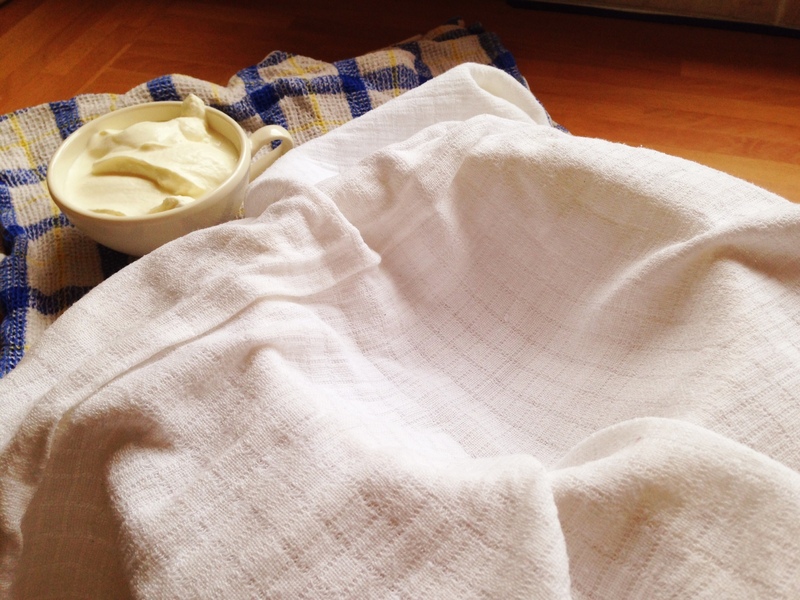 Set up a sieve lined with a large piece of muslin, and put it over a large bowl. 2. Put your milk into a large pan and bring it to the boil. When it starts to bubble and rise up the pan, you are ready for the next step. 3. Add the yogurt or lemon juice and stir. Within about a minute, you should notice that clumps have formed in your milk. 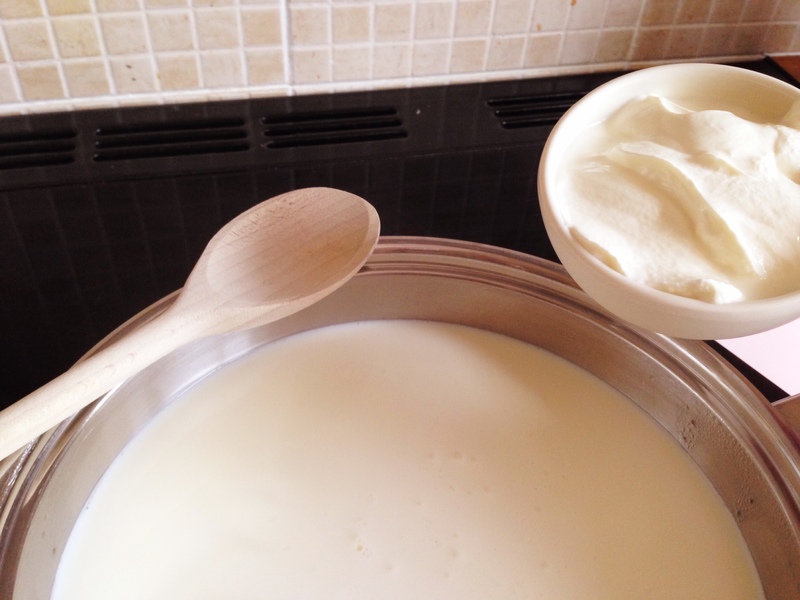 If you are using yogurt and you can’t see clumps yet, you can add a teaspoon of lemon juice. 4. Get a grown-up to pour your mixture through the muslin-lined sieve. This will make sure the whey goes through to the bowl, and the curd stays in your sieve. 5. When the mix has cooled a little, pick up the muslin and twist it around over the bowl, to squeeze out some more whey liquid. 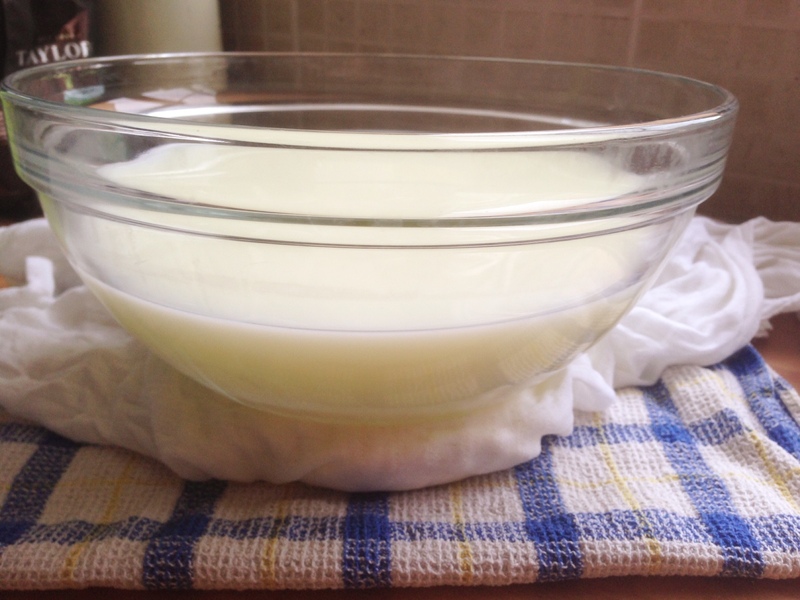 Make sure the curd in your muslin is covered all around, and place something heavy on top of it. This squeezes out more liquid and helps to squish the curds together to make a block of cheese. 6. After 45 minutes, you can unwrap your cheese! You can cut it or crumble it onto some bread with a little bit of olive oil and a tiny sprinkle of salt and pepper. Or keep it covered in water in a container in the fridge until you need it. This cheese is great in curries as it keeps its shape when heated. Why does our cheese look different to other cheese? Cheese looks and tastes different depending on the kind of milk you use (cow, sheep, buffalo, goat, etc. ), what bacteria is used, how the cheese is stored, and how long it is left to age. There are many other things cheese makers can do to cheese to make it taste and look different such as adding herbs and spices as well as adding colour. Blue cheese is made by poking the cheese with skewers, opening up small areas that air can get in to, encouraging mold to grow–urgh! The blue squiggly bits in this cheese is the mold–some people think it tastes nice. Let us know what you think you could do to your cheese next time, to make it taste different? Answer to the acid question: Vinegar is another acid you can find in the kitchen. Did you get it right? 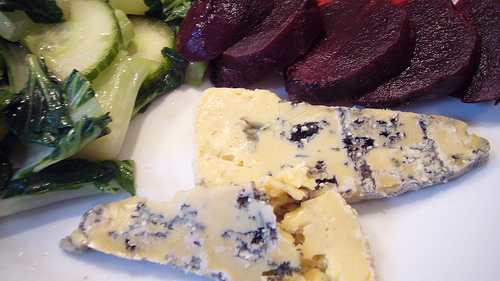 Image credit: Thanks to beavela for the blue cheese image, released under a creative commons license.